An internationally-acclaimed author who has sold more than seven million books in 20 languages, Davis is equal parts writer, scholar, teacher, and sportsman. 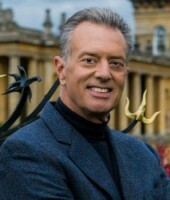 A sought-after speaker in the art of writing, Davis serves as Writer In Residence at Regent’s Park College, the University of Oxford. Find out more about Davis Bunn here. Discover books by Davis Bunn.